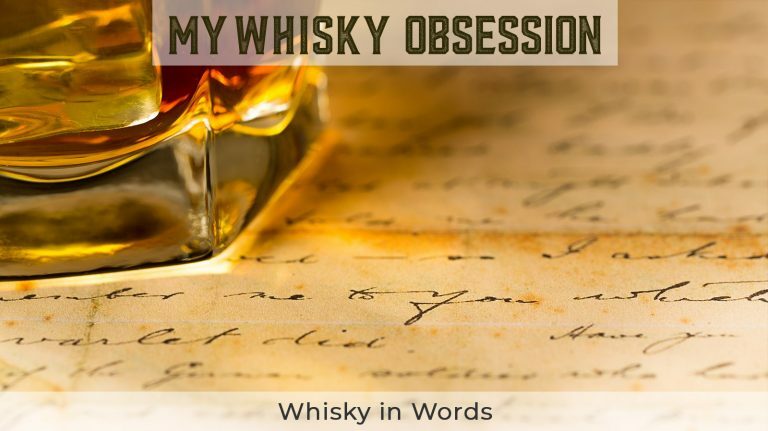 Whisky provokes many feelings, and, for some whisky lovers, the creative impulse. 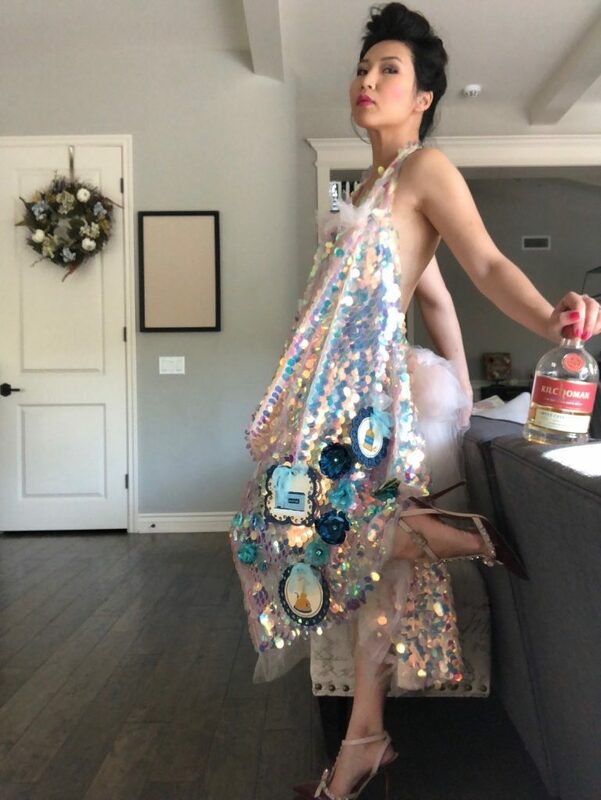 Linh Do was a social worker when she first fell in love with the flavors and culture of scotch and began expressing her emotions and ideas through fabric. “I was always intrigued by the concept of taking random subjects and fusing them together,” she says. 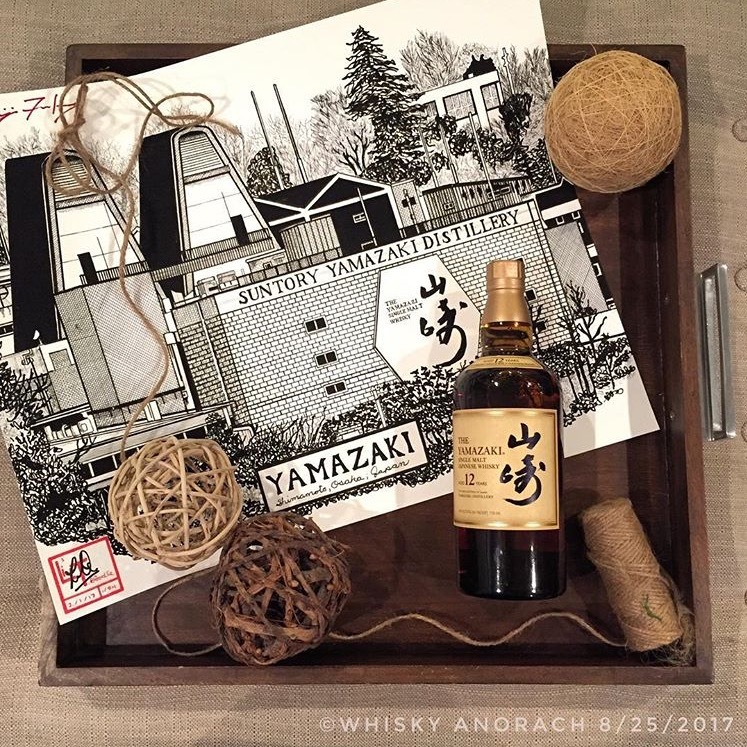 In addition to clothing, Linh creates pen-and-ink drawings and acrylic paintings of whisky scenes. 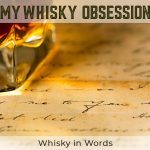 Her most personal and long-term project is a large hand-written book, filled with drawings, information, stories, and tasting notes from her first-hand whisky experiences. “The idea is to celebrate the people in the industry who I like, who I really respect, and the companies I respect,” she explains. Do’s approach to her art and to whisky draws on a deep and wide-ranging knowledge of literature, music, and philosophy. 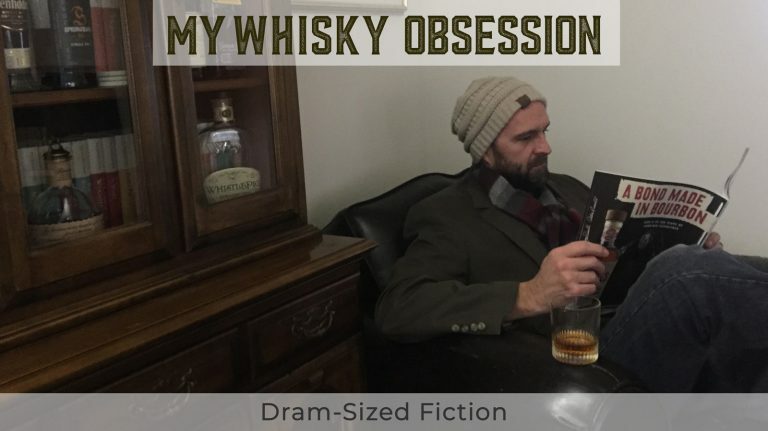 It’s impossible to capture her poetic, funny, and thoughtful musings in a single interview, but you can get to know her personality through her Instagram profile, @whiskyanorach. 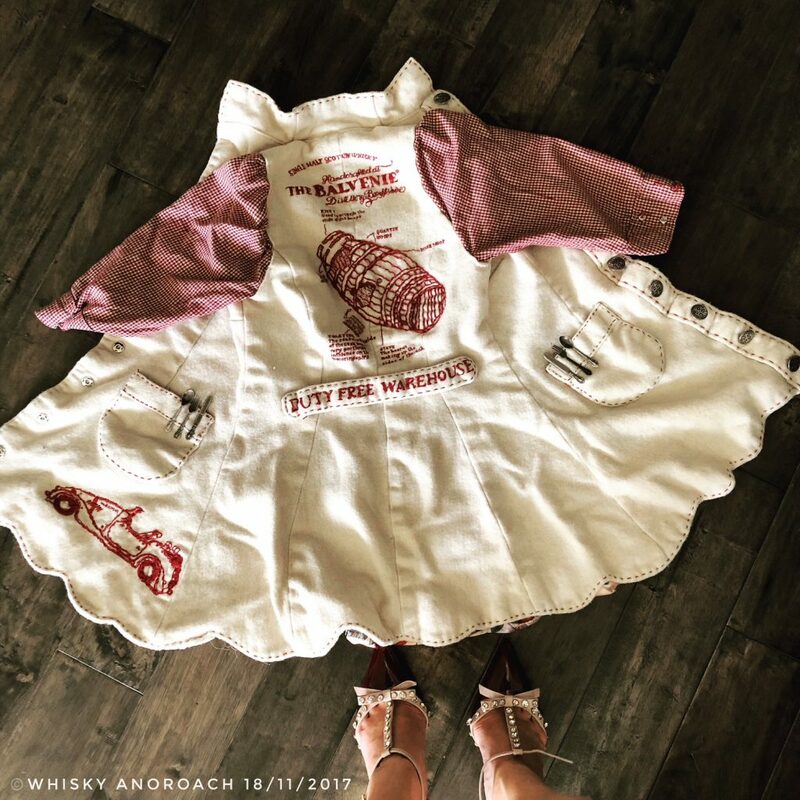 To keep up with her latest dresses and other artistic creations, follow @whisky_anorach_designs. And for those interested in purchasing prints, she has an Etsy shop. 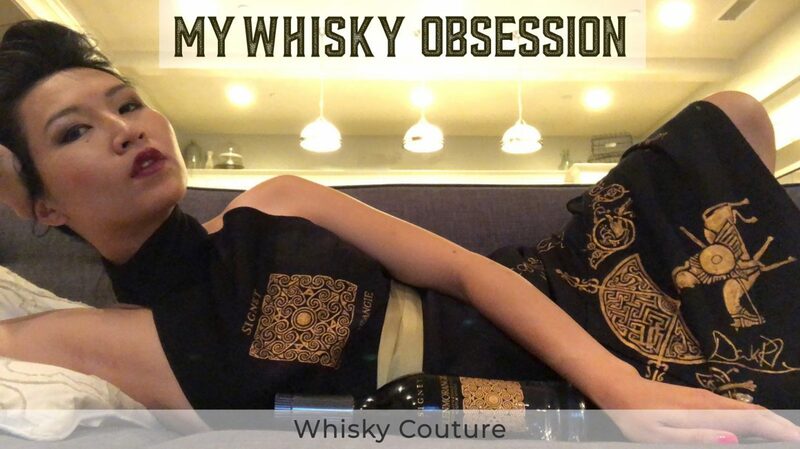 Whisky Advocate: How did you start making clothes and art based on whisky? Linh Do: I was at a whisky tasting with [Highland Park brand ambassador] Martin Daraz, and when I took a sip of whisky I was confronted with a lot of these peppercorn spices, and it made my eyes water, but on the finish there were these honey notes that glossed over my taste buds and combated the heat. And I thought “Wow, maybe this is a metaphor for life—that if I had a dream, would it end on a sweet note like Highland Park?” Something clicked at that moment. Martin was saying, “This is your destiny, you’re meant to be in the whisky industry,” and it made me kind of laugh, because I’ve never been exposed to that concept of destiny. Later on, I go to Islay and get stranded there, and randomly I run into John Campbell [master distiller of Laphroaig]. Long story short, he was driving me around and giving me a tour of Islay, and going down this single track road I see all these trees that seemed to be swallowing up the sky. It was so beautiful, and I started to romanticize about Hitchcock, because I just love how the women always dressed back in the day. And that’s how I got the idea of making whisky inspired dresses—a picture of how life was like back in the old days. WA: Had you ever made a dress before? Do: I made a few dresses—one that was inspired by Thomas Pynchon’s short story “Entropy.” I made a dress that was inspired by Rage Against The Machine. 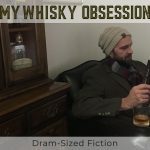 WA: What makes clothing a good medium for expressing your feelings about whisky? Do: People say you only need three ingredients to make whisky: water, yeast, and grain. And for clothing, it’s needle, thread, and fabric. You can produce so many different styles of whisky, depending on the distillation process and its exposure to different types of wood, and I thought this is very similar for clothing. You can produce so many different styles. You have to adjust the distance of the thread and bits of fabric and so on. I went to Tain and met up with the stone carver who did the [modern] rendition of the Cadboll Stone [at Glenmorangie Distillery]. He was talking about Celtic art and the intertwining of things and things being interconnected, and my philosophy in life changed. It made me realize the reason why I find a lot of similarities in making dresses and whisky. WA: Your dresses have both literal and, in some ways, metaphorical layers in their design and presentation. What is your process when conceptualizing them? Do: I have designs in mind where I’ve never seen the distillery before, but I’m definitely motivated once I’ve seen the distilleries. And it’s the people I’ve met and talked to that generate more of the creative process. I like to think that even though I’m alone here in my room, it’s a collaborative process. To me, it’s a very spiritual experience where once I get into it, there are a lot of serendipitous moments. For example, I’ve had an idea of wanting to make a Compass Box dress for years. My initial thought was to incorporate the feathers because I love Lee Alexander McQueen. He was, at the time, a designer based in London. I went to see John Glaser there [in London] and he told me his experience about realizing that making whisky was his destiny. He was on the Isle of Skye drinking Talisker and that was his “ah-ha” moment. Alexander McQueen’s family is from Isle of Skye. I love when things like that happen. When I made the Glenmorangie Signet dress, I was painting [the Cadboll Stone design]. I was six hours in and it was 3 a.m. and I was just cursing at it because I put pressure on myself to be so precise. I later relayed that experience to the stone carver and he said he was experiencing the same thing when he was working on the stone. On the back of the dress, I did original artwork. I told him I was so exhausted from doing the rendition of his piece that I just improvised on the back. That’s what he had done with the Cadboll Stone too. The front, the part that everybody knows, that’s a rendition from a piece made 1,300 years ago, but the back of the stone is all his original art, and so it was another coincidence. WA: Do you have a favorite dress that you’ve made? Do: That’s hard to choose, because [the clothing is] a kind of progression of my state of mind when I worked on it. So, a lot of the earlier stuff was composed of upholstery fabric. That was a period of my life where I felt very soft and squishy like a gummy bear, and I wanted to create a hard shell to protect myself from my insecurities, and also the stuff that people would say to me. A lot of people would say, “You need to change yourself and alter yourself to make yourself more marketable.” That was a period where I was trying to find my self-expression and an authenticity approach. WA: You also make stark black-and-white drawings of distilleries and other whisky scenes, as well paintings. What inspired you to start that? 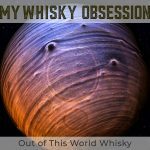 Do: When I first started going to whisky tastings, I diligently took notes and I had my little Moleskine book and I couldn’t find where all my old notes were. I knew that if I had images, I could remember if something was somewhere in the middle or the beginning of my notes. So that’s when I began to draw distilleries. And it stuck with me. My paintings are a lot more comical. When I do these straight lines [in my drawings], my idea is to try to tap into my logical side. It’s hard being so logical. But when I do my paintings, they’re kind of quirky, and that has to do with my bizarre sense of humor. 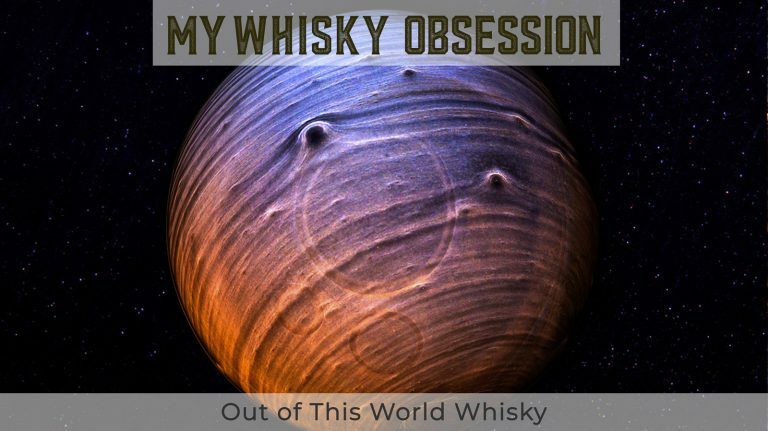 Ernie Button captures a different side of whisky through otherworldly photographs.